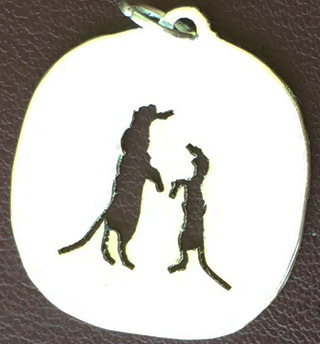 A nice medium/small pendant to show your love for meerkats. Reversible. 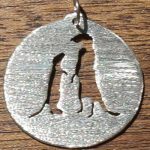 Looks good on a silver chain or leather cord. Matte side shown here as well as shiny side. 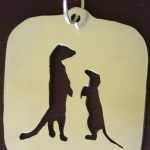 A pair of cute little meerkats pop up to say hello in this medium rounded square pendant. 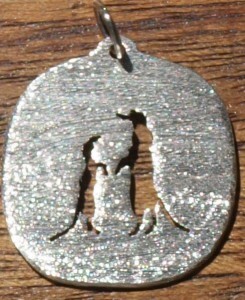 Matte side shown here in all shiny silver. May also have both sides shiny or both sides in matte finish… for more rustic natural effect. 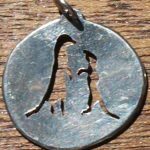 Argentium 930 sterling tarnish resistant silver. 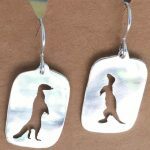 These are shiny silver or matte finish. 7/8″ wide and 7/8″ high.